The Trial of Sir John A. is a fluid, flexible and portable production in which our fictional John A. Macdonald faces the complex legacy of the CPR and the settling of the west. His “trial” offers multiple perspectives from which his actions can be judged. Students vote as jury whether to find Macdonald innocent or guilty. 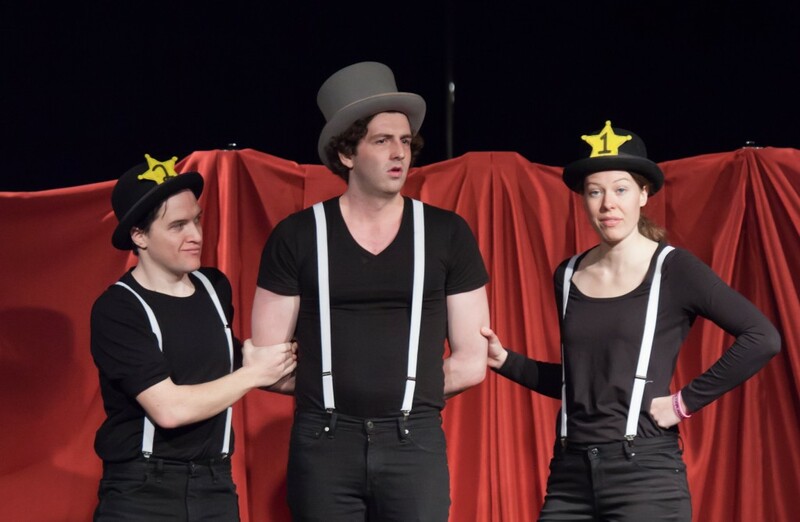 Filled with music, cheeky humour and moments of levity, audiences are given ample opportunity to enjoy a song and a dance while still contemplating their place within the rich tapestry of Canadian identity.